Am I committed enough to exercise regularly that having my own equipment will be worthwhile? If you’re not ready to commit to regular exercise, you may want to try a short-term (one-two month) gym membership, to see if you’re ready; or if you have a friend nearby who’s willing to share, try exercising at their home for a month or so to give it a spin. Do I have a place to set up equipment that gives me enough room to use it and will not impact the aesthetics of my home? If your equipment is set up in a dungeon-like basement or garage, no matter how great it is, it may be difficult to motivate yourself to use it. If you don’t have an extra room to dedicate to exercise, you may end up with a treadmill in your bedroom, living room or office. The upside is that you’ll be in a light, airy space, maybe even with a TV in front of you, but the downside is …a treadmill in your living room. Remember too – these machines are much bigger than they look in pictures and TV ads. Do I have the money available to buy quality, gimmick-free equipment, and pay for periodic repairs? The too good to be true treadmills for two easy payments of $39.99 that fold up and slide under your bed are just that – too good to be true. Typically these will not hold up for long-term use, be difficult to operate smoothly, or and not fold up and store as easily as they appear to do in the ads. If you want to have gym-quality treadmills, ellipticals, and bikes, expect to pay a lot – most good equipment will start at $1,000 and up, with arc trainers more in the $5,000 range. For all equipment, prices increase as you add features and quality. When you consider that a gym membership may cost $500-$600 a year, a major equipment investment pays for itself in two-five years, if you use it enough. But remember that you won’t be able to put an “out-of-order” sign on it like they do at the gym when it breaks down – you’ll have to pay for repairs and periodic maintenance too. 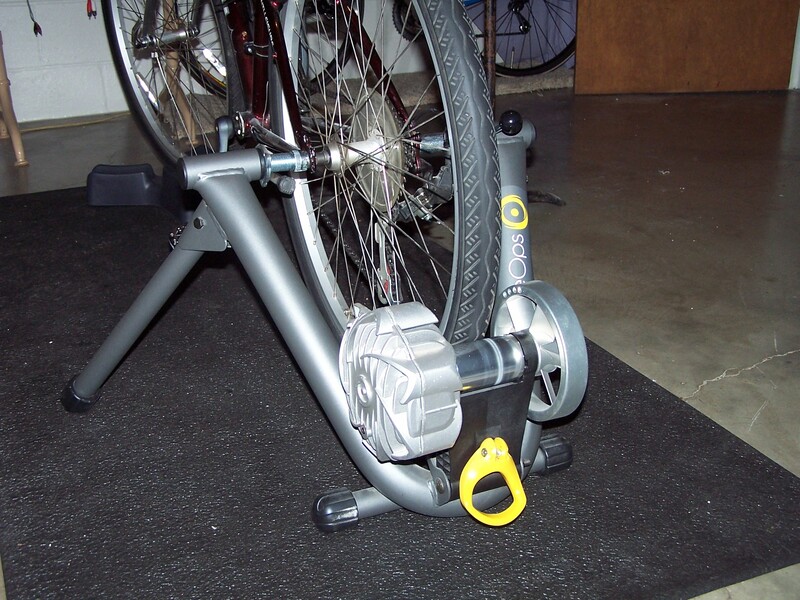 If biking is your thing, you can save some money by buying a trainer, which is a frame on which you can set up your bike to temporarily turn it into a stationary cycle. If you already have a good bike that fits you well, this is a great option. 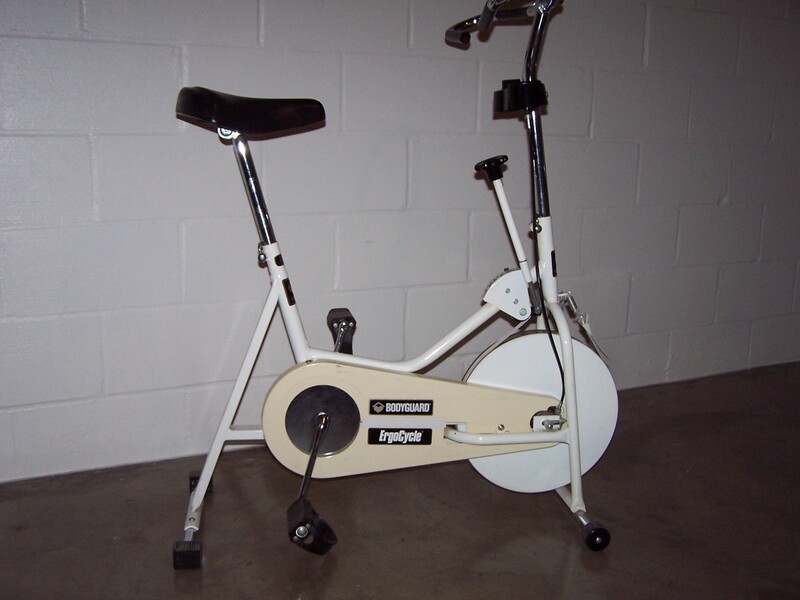 Expect to pay $150 to $400 for a basic trainer, and $600-$1,000 for the high-tech ones. Unless you’re Lance, you probably can get by with the basic models, but just like any other equipment, you get what you pay for. More on bikes later. Am I patient enough to spend the time I need to set up and adjust the equipment? When you sit on a weight machine at the gym, it’s ready to go. Home machines often offer multiple exercises, which means you may have to change to a different bar for each exercise, reverse the way the bar rotates, or remove the seat or bench. Resistance machines (Bowflex and the like) use belts or cables to change the machine into different exercises, so again you’ll be making adjustments for each exercise. If you’re using free weights, you’ll be limited to a small selection in weights, unless you have unlimited space to set up a huge weight rack and don’t mind investing in a large selection. Another thing to consider with weight machines – is your floor strong enough to support the equipment? If you live in an apartment, your weight machine may end up in your downstairs neighbor’s living room if the strength of the floor is not sufficient to support the weight of the equipment. Once you’ve decided you’re ready to commit to buying major exercise equipment, the next step is where to buy. If you’re buying new, consider starting with your local fitness shop. Some bike and ski shops also carry home exercise equipment, so they have something to sell in the off-season. The local shop is a great resource – they tend to carry the equipment that is the most popular, as they don’t want to get stuck with a bunch of stuff that they can’t sell. The sales person can show you all the features, and you can try it on the spot. Next best place to buy – a large department store. Last choice – online. You won’t get to try the equipment first, and you’ll have the cumbersome chore of repacking it for shipping if you decide to return it. Buying used is another good option if you don’t mind taking your chances. Your start-up costs will be less, but you may not get much help in learning how to use and set up the equipment, unless the seller is willing to help. You also may get stuck with equipment that is broken, or does not work as advertised. You’ll have no money-back guarantee from the manufacturer or warranty. If the equipment is an older model, replacement parts may no longer be available. But if you do your research on the equipment and know what you’re getting, you could get a great deal. I know people who’ve had great luck with used equipment, buying sight unseen on eBay; some even end up with brand new, never out of the box, but at a fraction of the cost of new. If you enjoy the adventure of buying used, this could be a great way to get started. Coming up: equipment reviews, and putting it all together. This entry was posted in Exercise and Fitness, Health and Wellness, HuffyHow and tagged arc trainers, Bowflex, Cybex, elliptical trainers, exercise equipment by Huffygirl. Bookmark the permalink.